What are you crocheting this summer? Are you taking your projects on a holiday vacation? Tell us what you’re working on and you can win more than £100 worth of yarn! For this simple competition, all you have to do is upload a project that you’re currently working on. The project must have a title, image(s), a written description, the relevant yarn and pattern attached, and it must use the HotTag #YARNVENTURE. Enter from now until the 31st of August for your chance to win a massive stash of yarn worth over £100! Get started now! Share Your Chemo Hat Project and WIN £100/$100! Win £75/$75 worth of yarn in our Woolentine’s Day Competition! HotTag Competition: Win $50/£50 of Yarn! 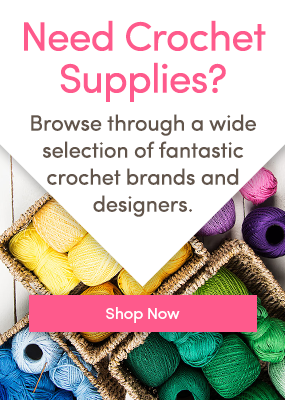 Win $100/£100 of Debbie Bliss Yarn! 63 Responses to Win Over £100 Worth of Yarn! ßone of my tank tios have shrunk in the laundry and become too short. Rather then throw them away I have started to crochet edging to attach to the bottom of them which makes them the length they should be! I am crocheting a Boston fern plant and planter. I have just begun a dinasaur for a friends little boy. Since last fall I have been on a crochet binge and made many toys. I will be giving them to charitycome December. I wish i had taken photos of them all in a group. I’m knitting squares sewing the squares together then I’m crocheting around them to make blankets for Dog Rescue Centres …..it will be Winter again in just 3months’ time ! But I’m disabled and 1 blanket isn’t enough ! I’m currently working on octopus for premature babies. I’ve just finished a “circle vest” – very colorful – for my granddaughter….and I have a “blanket sweater/shrug” on my hooks. I also am about to start a summer tank top. Though, since it’s so hot, I’m wondering if I’ll be able to finish that while it’s still summer! Busy, busy. I’m also eyeing some beautiful Christmas baubles – something I’ve wanted to do for a couple of years. I would SO love to win a stash of yarn! Because I’ve been going through my stash lately – and, as we all know, we NEVER, ever have enough yarn! Yup! I’m “hooked”!!! recently I saw an article titled something like “How to tell if your a yarn addict”. Well, of COURSE I am! I just love getting a new stash of yarn delivered to my home….I “dig” in – but s-l-o-w-l-y because I just want that wonderful happy feeling to last as long as it can…soft, squishy, just nothing like it, right? I am working on hats for cancer patients. I make during the summer and donate in the fall. I am a cancer survivor and want to give back. I am also working on a big afghan for my great nephew for Christmas. I am making a “Your an Angle” afghan for my great nieces Christmas presents. I have made all my grand and great grand children on of these, totaling 22 in all. I also crochet their name in it to make it personal for them. I found this pattern in the Vanna White’s book of afghans. They make wonderful gifts. I would love to win some yarn as I have another grand child due in December..
I’m working on a pair of shark slippers for a friend of mine while also working on a cute purple hippo pillow for my husband. I am presently working on a hooded baby blanket & if it’s too hot am crocheting hats for the service men/women to send in the fall. I am currently crocheting “Dish in a Pond”. The colors are Blue. I have made many baby blankets in the last 6 months. I am new to this website and would love to win. I am also looking forward to new patterns. Working on a large afghan for a soon to be married couple. Her favorite color is lavender so it is that color and a deep purple. Soon to make some prayer shawls for church. I’ve just finished another Schmetterwurm shawl in Tunisian crochet – I love this method of crochet. I made this shawl for myself a few months ago, but unfortunately my daughter Fiona saw it, tried it on and it exactly matched the top she was wearing and that was the last I saw of it! I changed the colours slightly in the new one, but I’ll have to find a good hiding place! Just finished a doily. Original has broken thread so I recreated it. Has 6 pineapples. I love crocheting pineapple doilies. Hi , I live in Adelaide Australia and are crochet a hexagal blanket for my daughter as it’s freezing as it’s winter.in between crochet blankets for the rspca to keep all the animals warm. A beautiful baby bobble blanket, with words that describe the new addition e.g. Adorable, cute, wonderful etc. crocheted with red heart baby steps bought from Love Crochet. I’m going to crochet some bunting for a new member of our family and a tiny pineapple, cuase I love pineapples! I’m working on a lapghan with my scrap yarn’s. Many colors to reminisce about ..as to what did I make out of this color and that color. My Simple Lapghan has simple hdc and my own simple pattern. I’m working on a Thunderbird 4 blanket for my eldest using a combination of Stylecraft special Aran and Paintbox Aran. The pattern is an enlarged graph for a jumper from an old Patons book. I’m making it in a combination of double crochet and bobble stitch so it’s time consuming but effective. Can’t wait to finish it! Ive nearly finished a Virus shawl. Mum tried to teach me to crochet 60 plus years ago but I couldn’t/wouldn’t do it. She had more success with my daughter who managed to teach me this year. Now at my advanced years I have the bug!! Working on the Ultra Pima Alpine Shawl for a friend’s mom who is going through cancer treatment. I will be leaving off the border since it will be too fussy for her to manage in a wheel chair. I’m making it out of Berroco’s Modern Cotton (Worsted Weight-size 4) in color 1665 (Wetherill). Thank you for this offer. I am currently working on something for myself (finally)! A lapghan/afghan (medium sized) for my recliner in the living room. It is an interlocking stitch with a cream color and cakes. 🙂 I love your emails. I am working on beanies for cancer patients as well as octopus for preemie babies that I donate once a month. I would love to get some yarn to help me with the cost and be able to donate more. I would love to win the yarn. Currently I am working on Christmas presents for Grandchildren (2 afghans and a dress). Finished 2 hats and scarves sets for 2 more grandkids. Make a bag for another granddaughter and figure out what to make for another grandson and 2 great grandbabies! I just finished a shawl for my 1st cousins wife ( he just passed away recently) 2 shawls for 2 other friends who have issues in their lives. I also have 40 hats finished and ready to donate for cancer victims at our local hospitals. Besides this I farm and grow a garden every year. I retired 7 years ago from my job and I still don’t stop! Good luck to all and don’t give up, just keep on plugging away! I am currently working with plarn….that is plastic yarn from plastic bags. I am making sleeping mats and bags for the homeless. I am not able to help them financially so I am doing what I can. God blessed me with the ability to crochet so this is what I do. In the past I have made toboggans, scarves and lapghans for the needy. I would love to win some yarn, then I could make more the homeless and the needy. I’ve almost finished a stripey jacket for my 18 month old grand daughter. I also crochet hats, blankets and clothing for angel babies. Made a baby blanket for my soon to be born grandson and his brother was jealous,so I have to make one for him to open at the shower. Although he has his own, he changed colors on me,so here I go again. I’ve just finished 3 poppy troll hat’s for my granddaughters and have almost finished neep for my great nephew. When that’s done maybe I’ll get my own blanket finished before I start unicorn hoody blankets for my granddaughters. I’m currently making c2c squares, just like a patchwork quilt top, for a double bed, and also doing a crochet hug me tight for a new born. Hi i just completed a armchair organiser for my friend first big project with an owl motif. Also i. Going to start an infinity scarf for my friends Christmas first time making one. I’m working on a granny square cocoon cardigan for my little girl . I always have something on the go in my crochet bag. Have just finished a Panama Hat for one granddaughter, a bonnet & cardigan for my 3 month old granddaughter, an egg apron for my friend’s sister and another one on the way for another friend’s daughter. My fingers always seem to be busy making something for someone. Always on the lookout for new yarns and colours and what to make next. Love ‘Love Crochet’ with all its different patterns. I’ve having trouble entering the contest. And I don’t know where to upload my photos of my current project. I’m doing the Atlanticus crochet along with Vanessa Smith Fishcake at Hooked on Sunshine. I’ve just finished part 10 (almost large enough for a queen size bed) and am anxiously awaiting part 11. When Atlanticus is finished, I will join the CAL if Lilliana. Can’t wait! Would love to win yarn as I donate to children’s hospitals. I recently made an elephant rug for two of my great granddaughters room . The baby wasn’t born yet but it was a little girl . I am currently crocheting ballet mice ,very cute , I sell my things at the senior center here , I am knitting also and still quilt . I am 84 years old .I also just crocheted a rooster and need to make more as they are very popular. I am working on 3 rainbow afghans for my 3 grandsons they are all grown into fine young men . Sure could use some of that free yarn. I’m working on scarves with sashay yarn I got a great deal on at Walmart I am making for gifts for family and friends. I am working on two projects; one is a table cloth overlay from cotton thread yarn and the other is a rug made from leftovers from an afghan that I make for a friend. I am crocheting hats to donate to the cancer center, the newborn unit at hospital, getting a head start on Christmas and hopefully to sell a few. I’ve had some unexpected household expenses come up and am trying to figure out ways to earn extra money. I’m crocheting a large rectangular granny square afghan . Am also working on headbands/ear warmers for my daughter to take to college. I am working on an afghan for my grandson to have at school This will be his freshman year at a college so at northhe is practically in Canada. e will need the warmth.